Rand Paul announces candidacy: An agenda more revolutionary than President Obama’s. Rand Paul is running Obama’s presidential campaign all over again. Sen. Rand Paul announced his game-changing campaign this week. Photo illustration by Slate. Photo By Bill Clark/CQ Roll Call. Paul is calling for deficit reduction at a faster pace than Paul Ryan or any Republican budget hawk has contemplated (or has been able to achieve) and a balanced budget amendment. He is also promising to completely overhaul the American system of government and to install systematic reforms like term limits. The usual question a Republican candidate poses to himself is rigged: Can I be better than the dismal incumbent Barack Obama? But Paul is basing his candidacy on the idea that he can best the president at something Obama was already pretty good at. Even Obama’s critics say he was pretty good at rallying the public. Remember those gargantuan rallies and crowds of 2008? Barack Obama is the first president in more than five decades to win at least 51 percent of the national popular vote twice. Obama could not translate his success at building a movement into success at building a sustainable governing force. On gun control measures for example, where polls showed he had the support of 90 percent of the country for items like background checks, he couldn’t get Congress to budge. Most candidates make the case that they can win a governing coalition and that they have the skills to forge compromise or work the legislature or do whatever else is necessary to make the system work. Paul’s candidacy is based on the idea that he can create a coalition that can get him elected and then keep that coalition humming so that it makes government hop to its will. That’s a big challenge. An ancillary challenge is convincing voters he can pull it off. Haven’t the Obama years cured people of belief in gargantuan change of this sort? Also: Do people want that much change? Life is pretty unpredictable and fast-moving. Do they want the kind of steady diet of disruption that Paul is promising? 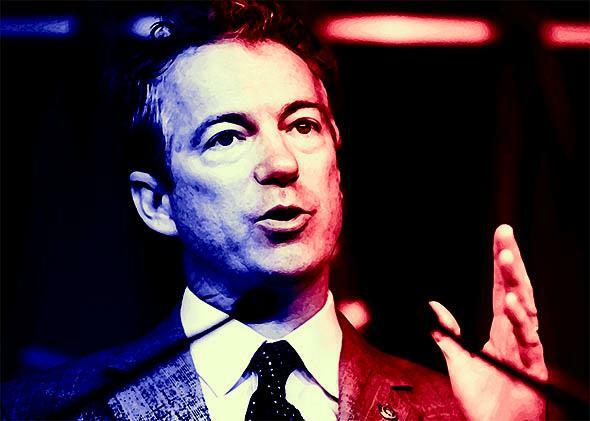 Paul is running as the Republican who can be trusted always to default to liberty in a pinch. He has a track record to support that. On foreign policy however, he is arguing for nuance and balance. Necessary qualities perhaps, but on domestic affairs Paul’s candidacy encourages people to be suspicious of those who preach nuance and balance. This might muddle the message. If you’re creating a revolution that will change the fundamental nature of government, people need bright distinctions they can rally around or they’ll get confused and support other candidates or lose their motivation for your one true solution. After all, Paul’s not just running to win on Election Day. He’s building a movement for change.